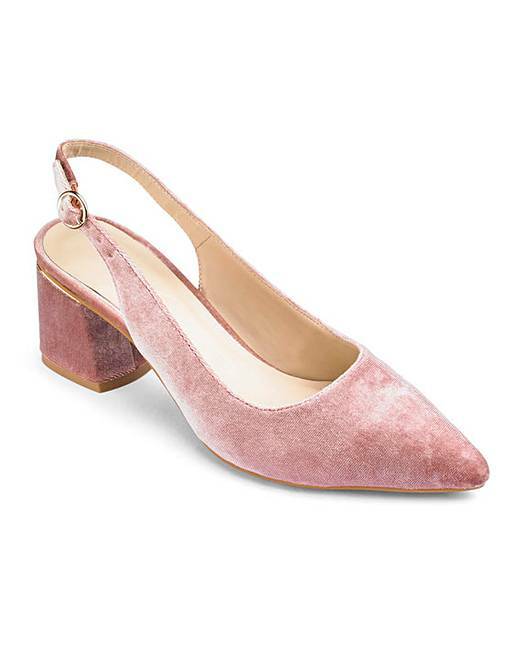 Kat Block Heel Slingbacks Ex Wide is rated 4.6 out of 5 by 5. 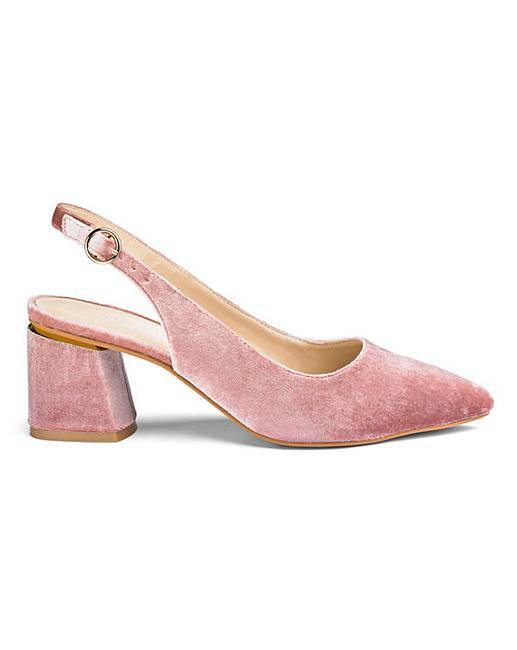 Let these Kat block-heel pointed slingbacks be your go-to closed toe heels to comfortably dress up any outfit. With multiple colours to choose from, rocking a pair of this versatile style has never been easier. Rated 4 out of 5 by SilverSurfer from Gorgeous shoes Wanted these for a wedding and they are almost perfect, just a little bit too pointed for me, so will stuff the toe a bit, but as I will be sitting down most of the time I don’t think it will be too much of a problem. 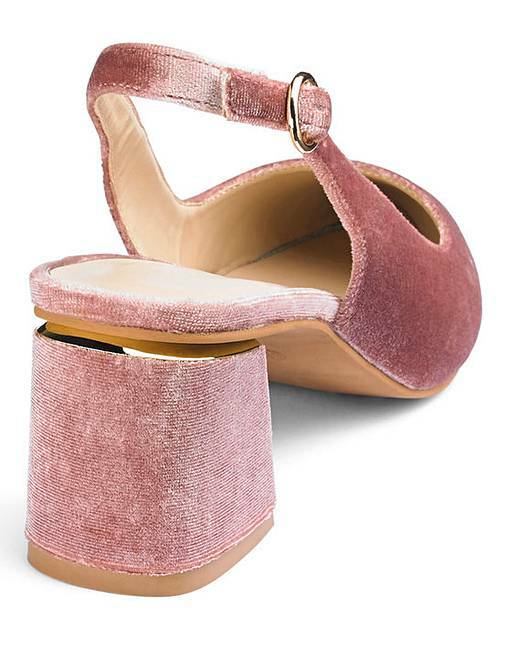 I love the shade of pink velvet and the chunky heel will be so much more comfortable to walk in. One thing I will mention is that they do seem to be a bit big, I ordered a 6 and had to go down to a size 5 in the wide fit but the smaller size is a perfect fit for me. Love them. Rated 5 out of 5 by MaztheRazz from Very comfy Thought about buying these several times but was concerned as the sizing was not the normal EEE but listed as Extra Large. Decided to give them a go and I was delighted I did! 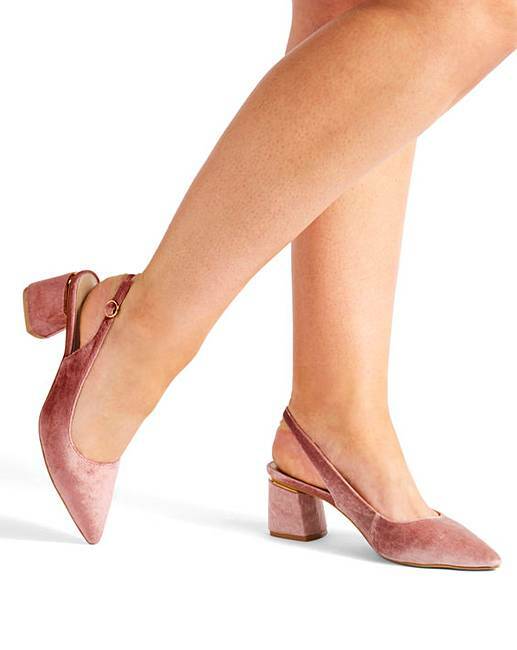 They are extremely comfortable and the block heel easy to walk in. 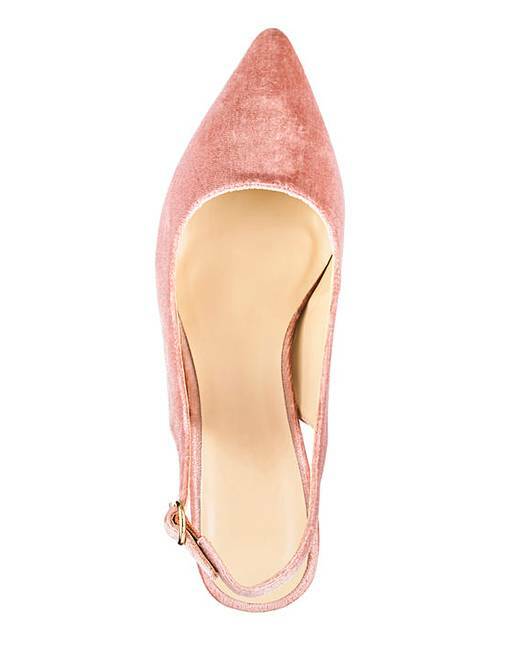 Rated 5 out of 5 by MoiraK from Good width I was a bit worried that these lovely shoes might hurt my feet ( bunions trouble) but they most definitely dont. Really happy to have found these.